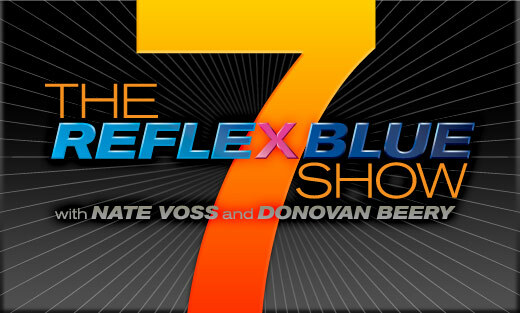 Download The Reflex Blue Show with Nate Voss and Donovan Beery, Episode 7 (28.5 meg) or click here to subscribe directly from the iTunes Music Store. Doing what I refer to as contract design work at first seems to be the same as the freelance design work I spoke of last week: you do design for a client and they pay you. But you’re not actually on salary. In those respects, I understand grouping contracting and freelancing together, but other than that, contracting seems to be a whole different job, although in my case and many others, it has been done at the same time as the freelance work we all speak so highly of. 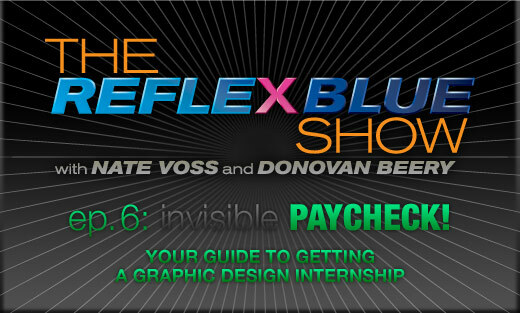 DownloadÂ The Reflex Blue Show with Nate Voss and Donovan Beery, Episode 6 (24 meg) or click here to subscribe directly from the iTunes Music Store. During my first job it was encouraged that I started freelancing. After all, working on just one website all day, every day, could start to burn you out a bit – and make you start losing that creative spark that keeps you loving this sort of work. My freelancing technically ended at the same time as my fourth job. It’s at that time, just over six years ago, that I went full-time working for my own company. The work started out the same, it just wasn’t referred to as ‘freelance’ anymore. 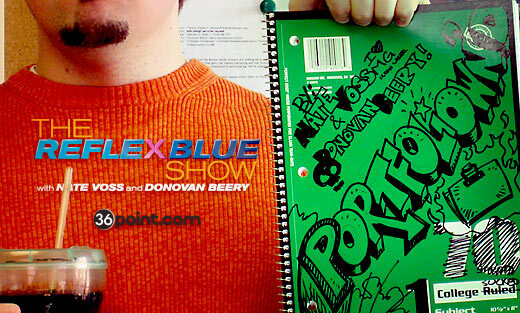 The Reflex Blue Show with Nate Voss and Donovan Beery, Episode 5: Portfoliown’d! A few weeks back Donovan and I gave a show stopping presentation at a student portfolio event called Meet the Pros (site and poster design by me). And even though we weren’t their first choice, we were the first ones to say “yes” and low, PORTFOLIOWN’D was born. A rip-roaring take through the entire student portfolio process — from purpose to process, order to interview, we cover how to make a great portfolio from top to bottom. Much of what you are about to hear we learned from our own experiences as former students, as professors, as interviewers and portfolio reviewers, and from people much smarter than ourselves. So sit back, grab a cold one, and relax on your inflatable couch. Enjoy. Download The Reflex Blue Show with Nate Voss and Donovan Beery, Episode 5 (25 meg) or click here to subscribe directly from the iTunes Music Store.